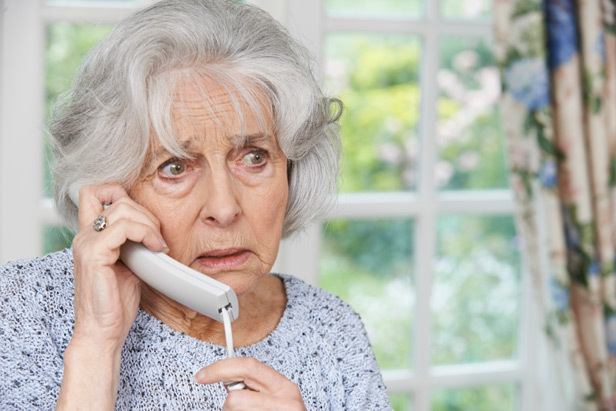 A cold-calling firm has been fined a record £400,000 by the Information Commissioner’s Office (ICO) for making almost 100 million nuisance calls. Keurboom Communications called people, sometimes at night, to see if they were eligible for road-accident or PPI compensation, the ICO said. It breached privacy laws by calling people without their consent. The company has since gone into liquidation but the ICO said it was committed to recovering the fine. It said it had received more than 1,000 complaints about automated calls from the Bedfordshire-registered company. The ICO said Keurboom Communications called some people repeatedly and during unsocial hours. It also hid its identity so that people would find it harder to complain. “The unprecedented scale of its campaign and Keurboom’s failure to co-operate with our investigation has resulted in the largest fine issued by the Information Commissioner for nuisance calls,” said Steve Eckersley, head of enforcement at the ICO. The ICO said making automatic marketing calls without people’s consent was illegal. “Keurboom showed scant regard for the rules,” said Mr Eckersley. In October, the government announced plans to let the ICO fine company directors as well as their businesses. “Making directors responsible will stop them avoiding fines by putting their company into liquidation,” the ICO said. The watchdog said 2016-17 had been its busiest year for nuisance call investigations, with 23 companies fined a total of £1.9m. Register with the Telephone Preference Service (TPS) – it’s for people who do not want to receive sales calls and it’s free. It is illegal for a company to call you once your name is on this. Complain to the Information Commissioner’s Office. The number is 0303 123 1113. Block calls. Some phones offer this feature or you could use a call blocking device that you plug into your phone. These can not only block certain numbers, but also any that are call “withheld” or “international” – untraceable numbers often used by cold callers. Keep an eye out when ordering goods to make sure you tick the box that says you do not wish to receive information about products from organisations. And be careful, as some of these boxes say tick if you DO wish to hear from other companies. You can also get advice from Warwickshire Trading Standards via Citizen’s Advice Consumer Service on 03454 040 506.